The dust sucked will deposit on the surface of totors, which will reduce the rotary balance accuracy of the equiment. Meanwhile, the downstream pipe equipment will be damanged due to corrosion. 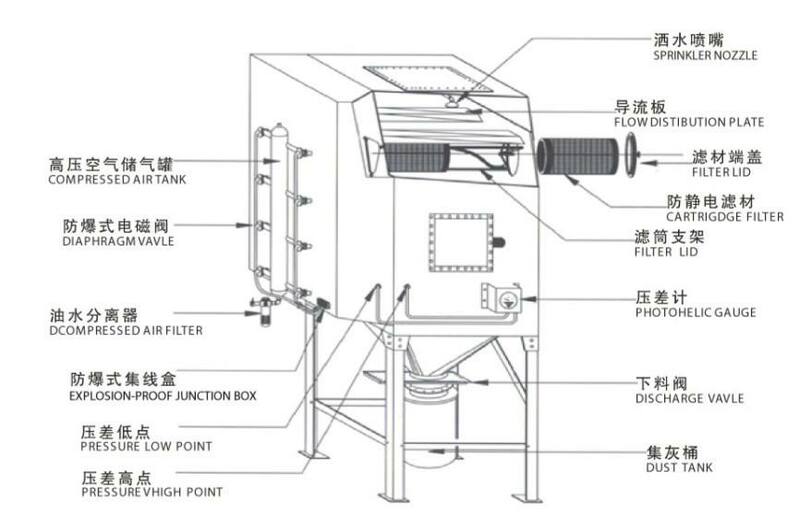 pulse jet self-clean air inlet filter produced by Futai can solve the aforesaid problems. 5. Chemical engineering, pharmacy and food, etc. which have strict requirement for air quality.